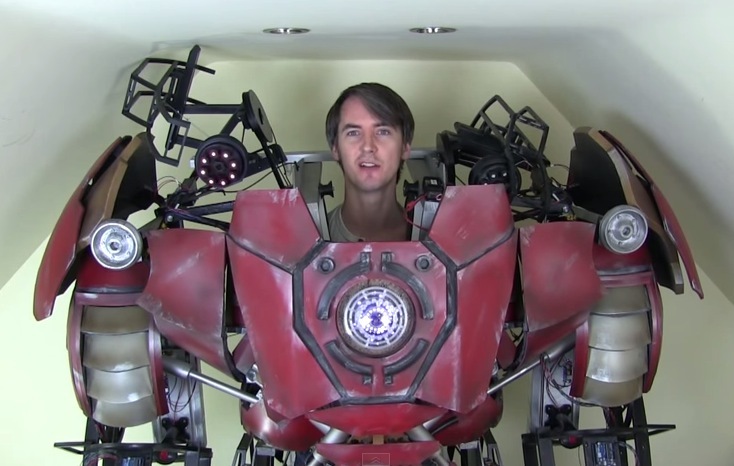 Arduino Blog » Building a giant Iron Man suit you can actually wear! Building a giant Iron Man suit you can actually wear! If you are a fan of cosplay, props and hand built creations you can’t miss the work of James Bruton. Based in Uk he’s got a personal project YouTube channel with a new video every week describing his work in details. At the end of June he posted the 34th “episode” of the project started nearly a year ago about building an Iron Man Hulkbuster giant suit you can actually wear! Explore the playlist of the project for other cool videos.